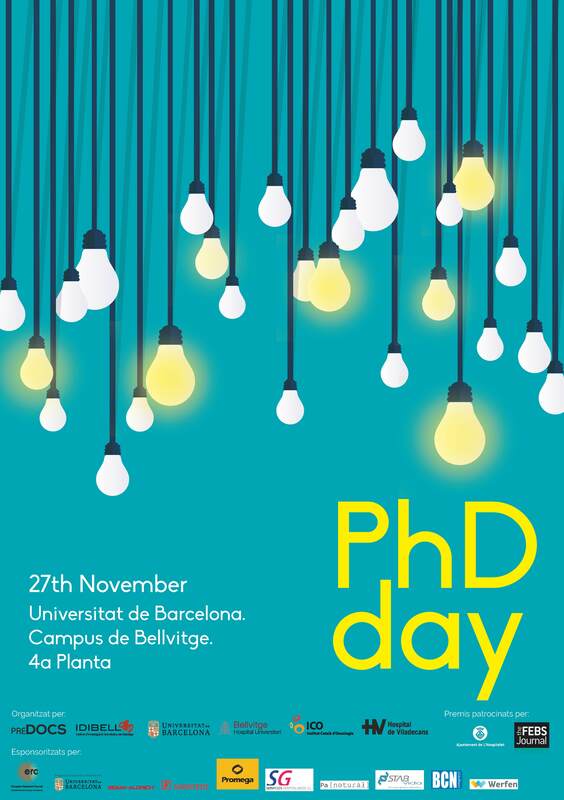 Next Friday November 27th from 8:30am, the classroom 308 (4th floor) of new the building at the University of Barcelona (Campus Bellvitge) hosts the I PhDday, organized by predoctoral researchers of the Campus with the aim to present the research performed by doctoral students and promote co-operation between research groups of the institution. Here will find the final program of the symposium that includes the plenary conference by Dr. Xavier Estivill, Centre for Genomic Regulation (CRG) Barcelona: ï¿½Genome-centric dissection of human diseaseï¿½ and a roundtable on job after PhD. At the end of the PhDday it will take place the award ceremony for the best oral communication and the best posters, sponsorized by Lï¿½Hospitalet de Llobregat and FEBS journal. ï¿½Recordad que el PhDday estï¿½ abierto a todos!